It can be a little disheartening to look at the broad sweep of immersive sim development. 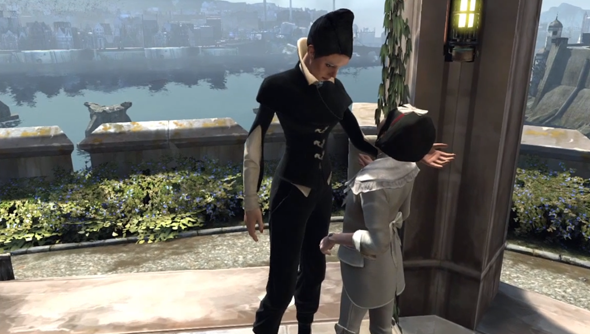 Is Dishonored really a decade and a half’s advancement away from Thief? And what on Earth was going on in those eight years between Deus Exes? Arkane founder Raphael Colantonio has a more positive outlook on the shape of complex action game development. After a dip in the ‘00s, he believes the public appetite for games like Dishonored will only increase. Ten years ago, said Colantonio, console memory limitations were weighing down multi-platform games. “There was this transition of the world of PC which was very deep with as much memory as you want to the world of console that was very shallow in a way – they were very limited with the memory,” he explained. In the time since, however, Colantonio has noticed a sea change. Colantonio went on to talk about a parallel generational change that is seeing society in general become more “game aware”, and suggested that America is “probably just one generation away from having a gamer president”.